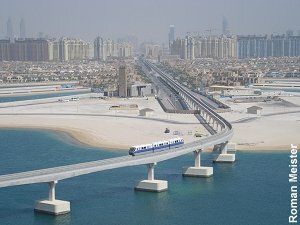 The current population in the city of Dubai is 863,000 with some 2.3 million in the entire Dubai Emirate. 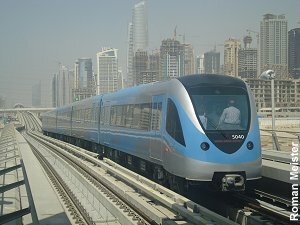 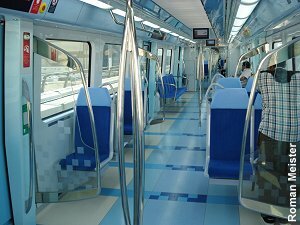 Construction on the first stage of Dubai's Metro began in 2005, with the first section of the Red Line opened on 09-09-2009. 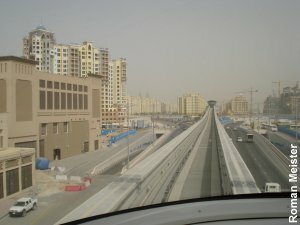 The Green Line was inaugurated exactly two years later, on 09-09-2011. 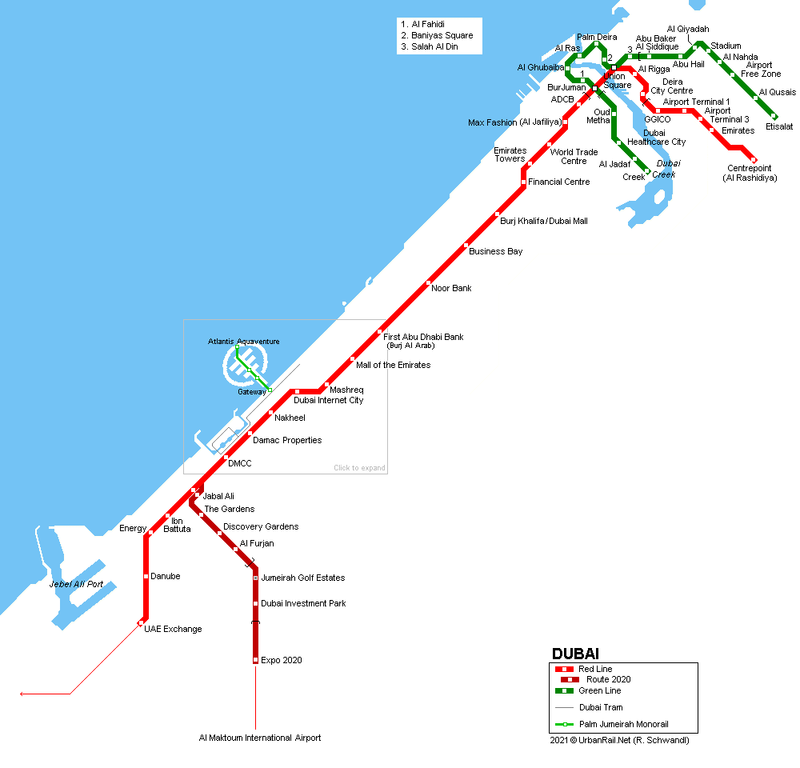 The Red Line and the Green Line intersect twice, at Union Square and at Khalid Bin Al Waleed (BurJuman Centre). 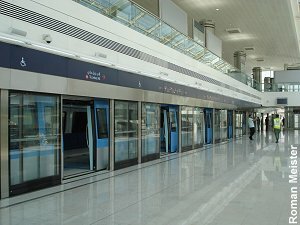 Each of the 87 driverless trains (Thales operating system) comprises five cars, with the first car being divided into first class (Gold Class) and a section reserved for women and children. 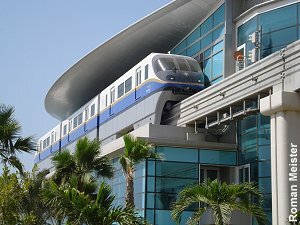 Metro stations were designed to four different themes: earth, water, air and fire. 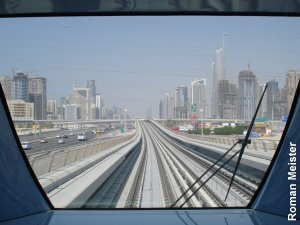 For Expo 2020, the Red Line is being extended with a 15 km branch from Nakheel Harbour & Tower Metro station (11.8 km elevated and 3.2 km underground) with seven stations (5 elevated and 2 underground). 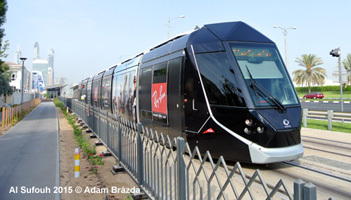 Click here for our Dubai Tram page! 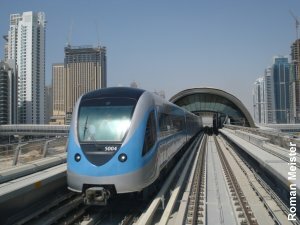 Dubai Metro in "The National"